Darth Sunshine: Lots to SQUEEE about!! 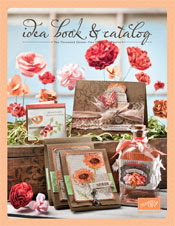 The new Stampin' Up catalog is here and it is the best catalog EVAH in my opinion....I love it! 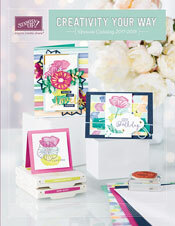 In my 9 years with Stampin' Up it is by far the prettiest and most creative catalog yet! The added bonus if you sign up in July is you and I both will receive this special Christmas Keepsake project kit...a $40 value! 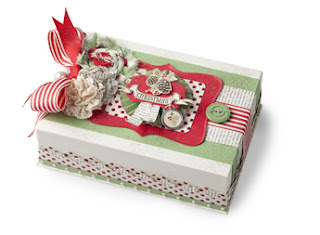 How about a card?! I HAVE been stamping! I did direct to paper technique with the NEW IN COLOR stamp pads--Calypso Coral, Pool Party and Lucky Limeade...then stamped the surfboards from Summer Splash (Summer Mini catalog) and the sentiment is from Sunny Fun (Summer Mini catalog). 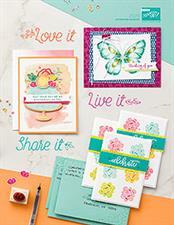 Stampin' Up's convention is next week! Lydia and I fly out next Wednesday for 4 days of fun and inspiration and NOM NOM NOMs! I can't wait!!! SQUEEEEE! !